Stunning Streaky Bay jetty and water views from elevated waterfront position. Enjoy a highly favourable north facing aspect overlooking the bay with excellent protection from southerly breezes. Beachside Apartments have excellent privacy from the main street, as they are not visible from the road. Upstairs Studio Apartment size is 52 square meters with a 5 sm upstairs landing at top of stairway. 4 Second walk to the beach, 12 second walk to Becks IGA Supermarket -, Sip n Save Wine Cellar, Elliots Bakery, KC Hair dresser and Betta Electrical., One minute walk to the jetty or two minute walk to the Streaky Bay Hotel. Modern Bathroom & Laundry area, with Washing machine, Clothes Dryer laundry sink, ironing board. Free Wi fi from nearby base can reach the front part of the apartment. This smaller (Sea Eagles Nest) Apartment as per information here. Each apartment has a separate Home Away Listing. Holiday Price $150 per night for two people. During holiday periods longer minimum stay periods may apply. On arrival you pre booked key can be picked up at Becks sip n save wine cellar just 15 seconds walk Up the stairs from the beach and apartments. Please note any damage to property, breakages or any extra cleaning costs will be charged.. You are requested to leave the premises in the same condition as upon occupation and will be responsible for any extra cleaning costs, replacements or damage which occurs as a result of your stay. Deposit of 50% to secure booking. More Pictures and information of every room on the jettyview website. Location Location Location Hidden Gem Enjoy a highly favourable north facing aspect overlooking the bay with excellent protection from southerly breezes. Jetty view & Beachside Apartments have excellent privacy from the towns center , as they are not visible from the road. What a fantastic place. The unit was great quality and the staff were very friendly and helpful. We look forward to staying again when we have more time to look around. 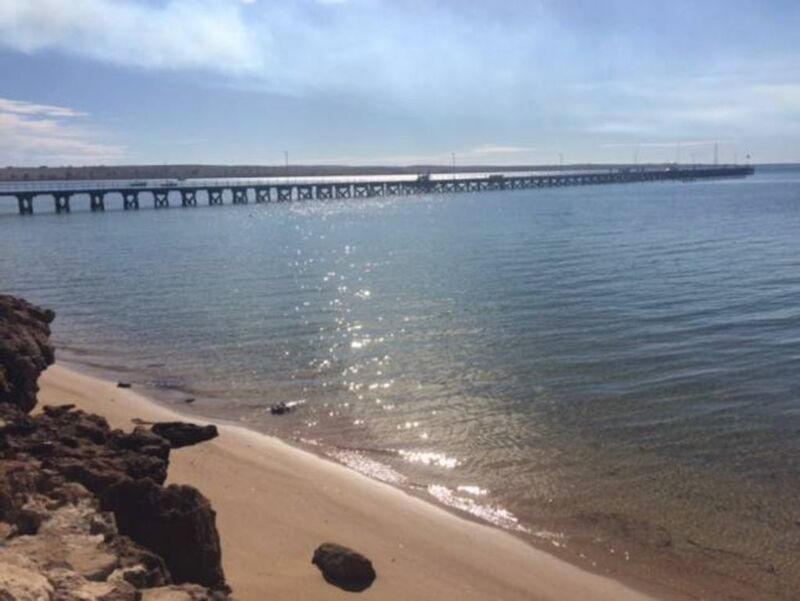 This unit is beautifully located and has all that you need for a stay in Streaky Bay. It is presented as clean, tidy and is well laid out. Clean and neatly presented. Management were very helpful and supporting during our stay. First time I have stayed in these apartments and I was pleasantly surprised with the facilities and comfort of it. The view is sensational overlooking the jetty and surrounding bay waters. Saw a pod of dolphins swim by then watched cormorants dive head first into the sea after fish. Didn't have far to wander to shops either being right in the same building virtually! There were steps to negotiate but nothing too arduous. So all in all a pleasant stay.